Boris Monosov is an author who wrote some books on tarot and magical arts. Each card has a signature A.N. 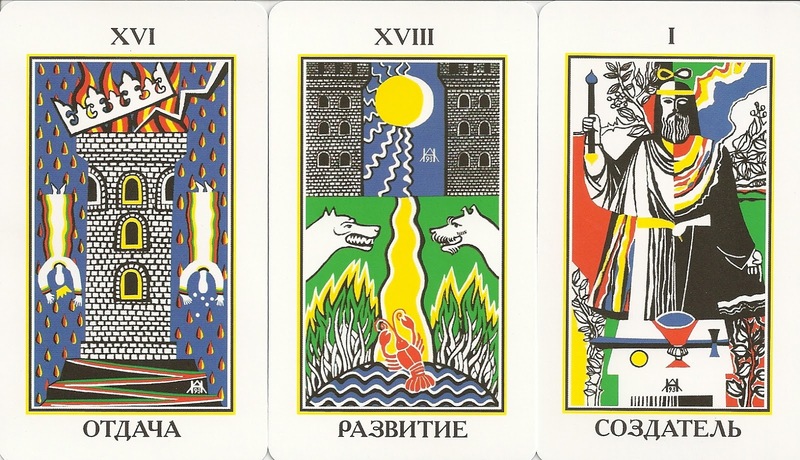 According to Adam McLean the Russian Tarot by Boris Monosov has been designed in 1994 but not been printed that time. 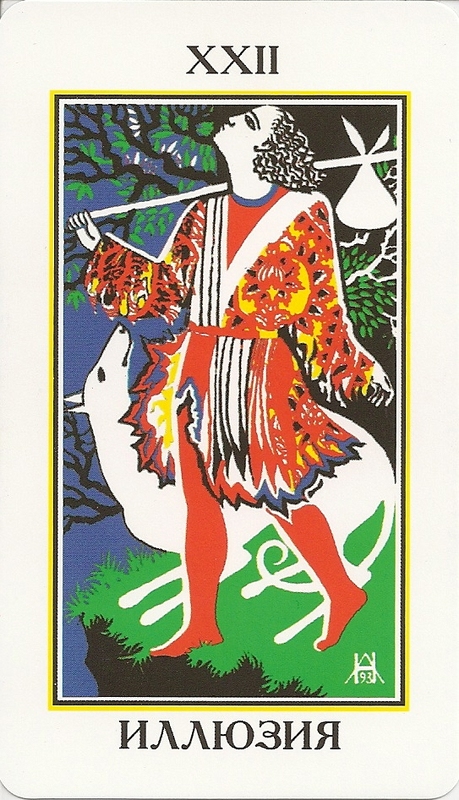 This edition was issued by the Russian publisher Vektor in 2011. It came in a box with a Russian-only booklet.